What do you need on your ambulance after visiting the MEDICA 2018 trade show? DÜSSELDORF – Medica Fairtrade 2018 just ended. Showcased products caught complete attention by attendees at the show, for their high-quality specifics. Emergency services passionates and managers could find stimulating equipment and supports for their ambulances. The Emergency Vehicles are in need of particular attention to quality details. That’s why companies always thought about a complete series of products that can assure performances and accountability. From 1989 Spencer is a leading company about emergency products. It always studies and develops new solutions for patients and prehospital operators. The Italian manufacturer achieved to realise high-quality series of devices that go from patient transportation to pre-hospital ventilation. In this field, a primary importance device for pre-hospital setting which encounters much success in thee years is the Spencer AMBUJET, a revolutionary suction unit with a unique and sturdy shell that protects the suction engine and the canister whether it falls. Spencer tests the device for accidental falls to a height of 6 metres. Like all the models of the series, AMBUJET is the first device without a cable connecting the canister and the vacuum unit: there is a removable filter that reduces the number of components, improving the suctioning power and reducing maintenance costs. Another advantage of AMBUJET it is about lightweight: Indeed, Spencer team worked hard to find a way to both protect such engine and cannister also making easy to use vacuum everywhere. The cutting-edge Spencer AMBUJET suctioning machine is a 20G certified medical device for ambulances, featuring an extremely sturdy wall mounting system and auto-rechargeable system. Besides the use of suction units, we can find the CMV ventilation. Spencer studied different solution for the pre-hospital field. To achieve the needs of both health care provider and ambulance builders, Spencer realises a new mechanical ventilator. The NXT series is a line of 3 devices that can work anytime, everywhere, with a battery or a pneumatic source of energy. What’s the advantage? Those devices are projected and manufactured to work in any scenario and being indestructible. 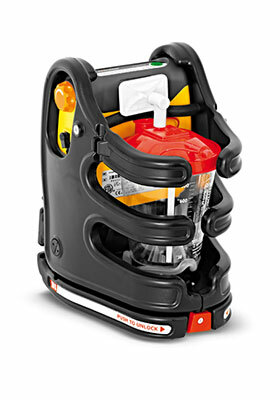 The NXT is a coordinated series and maintains the same features of previous models, but the external structure and the battery pack have been modified to create a shockproof shell with a 10G certified hook up restraining sytem to hang it in the ambulance. EMT and paramedic can use the new ventilators without any problem in any out-of-hospital situation for 10 hours non-stop. To ensure continuous functioning, NXT 170 and NXT 190 have a dual system with two solenoid valves as a backup circuit. Choosing the right mode of ventilation can be effortless thanks to 4 presets, two major regulators and an electronic switch system that can adjust triggers, flow and pressure in assisted or spontaneous ventilation. The matter is: can a transportation chair be light and resistant at the same time? Spencer also took care of the transportation of patients that also means an essential point for emergency crews. There is only one transportation chair on the market that is lightweight, strong at the same time, comfortable and easy to move; its name is 4BELL, a 10G certified chair that features a wall support with simplified locking system. 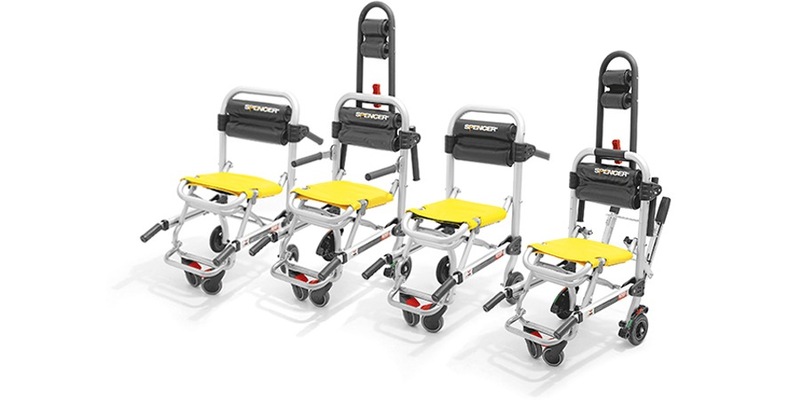 You can fold 4BELL with a light hand or foot pressure, and you can store it in a dedicated storage solution inside the ambulance, occupying less space than any other existing chair. 4BELL represents the evolution of transportation and evacuation solutions. Its success resides behind the innovation of the manufacturing technology. A pre-folded aluminium tubes and an innovative joint system, are the main body of the chair that ensure a safer and long-lasting device. However, cross infections must not be forgotten! So, the technology of manufacture removed protruding screws. 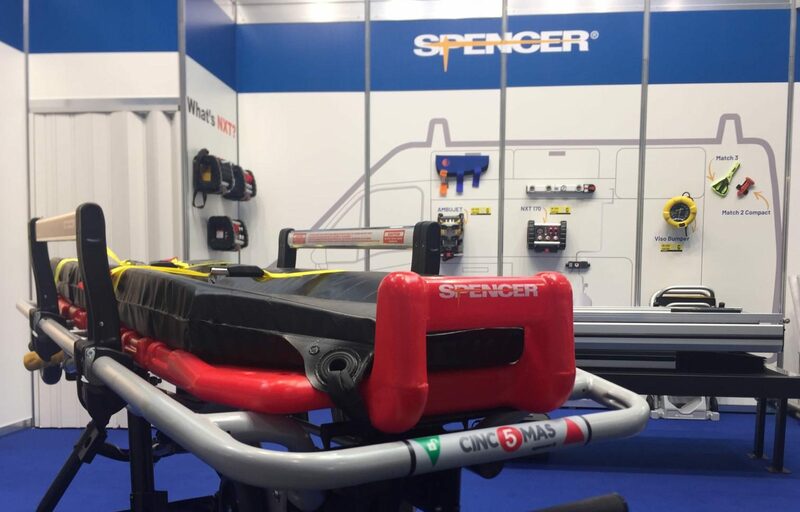 That is why the Spencer solution in Medica had drawn attention from different pre-hospital providers and ambulance-builders: durable and straightforward solution that will be easy to use in case of necessity.